Since creating the Mouse and Mole series, Theodor Seuss Geisel Honor Award winner Wong Herbert Yee has become a favorite among young fans all over the world. In this delightful novel, Mole frets because Halloween will soon be here, and Halloween can be scary. But he perks up at the idea of a pumpkin-carving contest. This could be fun! 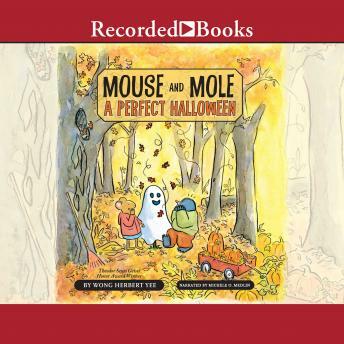 As Mole cuts his design in the pumpkin, he begins to worry that Mouse might copy his idea. Fortunately, it's not long before Mole stops his worrying-for nothing can keep good friends apart.